India has 2.6 million dry latrines that require manual removal of human excreta – even though the practice is abolished. The Central government has claimed that 91% of manual scavengers have been provided a one-time cash payment of Rs 40,000 and 108% of identified scavengers and their dependents have been selected for skill training under the rehabilitation programme for manual scavengers. But the number of manual scavengers identified by the states is just 7% of the households with at least a single member engaged in manual scavenging, according to Census 2011. That leaves out 93% of identified scavengers, who clean sewers and clear human excreta, an act illegal for 24 years now. Of 12,742 manual scavengers identified in India after the promulgation of The Prohibition of Employment of Manual Scavengers and their Rehabilitation Act, 2013, 11,598 (91%) have been provided one-time cash assistance of Rs 40,000 each as part of their rehabilitation, according to this April 2017 reply to the Lok Sabha (lower House of Parliament) by Minister for Social Justice and Empowerment Thaawarchand Gehlot. There are 182,505 households in rural India with at least one member doing manual scavenging, according to Socio Economic and Caste Census 2011. Assuming there is only one person in those identified households doing manual scavenging, there are at least 182,505 manual scavengers in India. 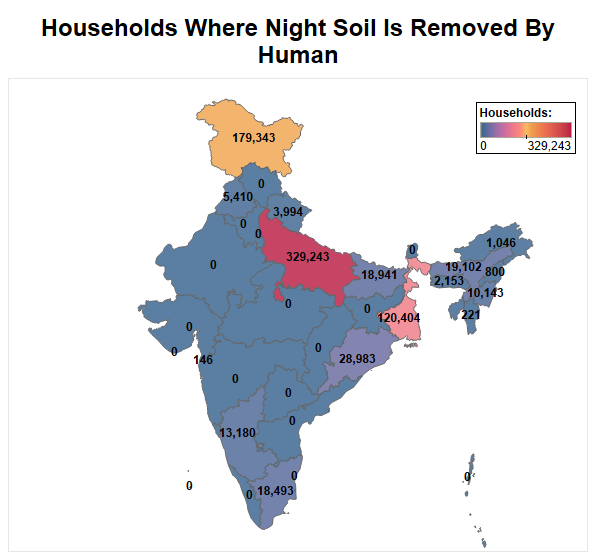 There are 740,078 households where night soil – human excreta – is removed by human beings, according to Census 2011. 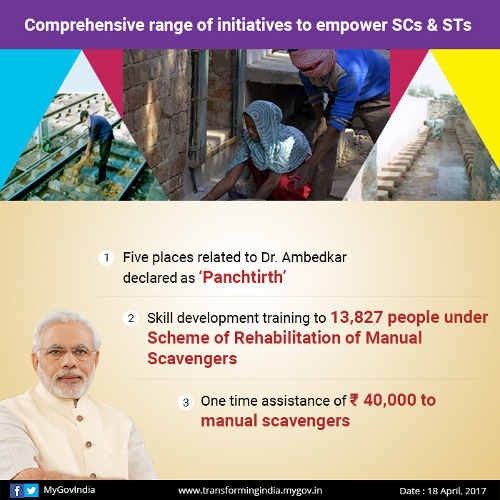 Proposals for skill development training of 13,827 manual scavengers and their dependents (that is, 108% of the 12,742 identified) have been sanctioned, the minister said. A manual scavenger is a person engaged to manually clean, carry, dispose of, or otherwise handle in any manner, human excreta that is not decomposed. 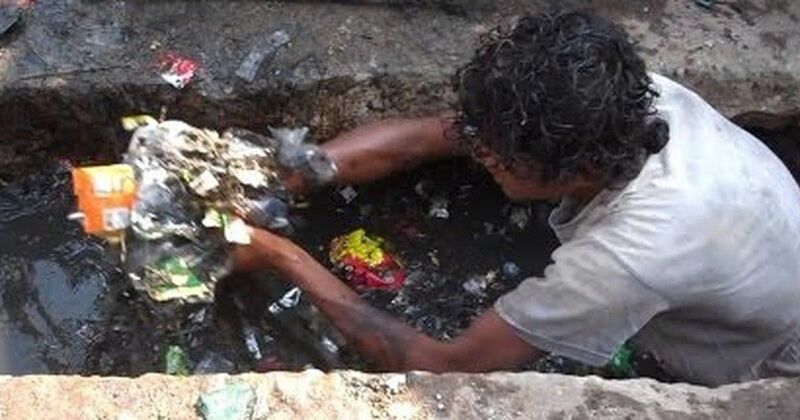 Manual scavenging has been abolished in India, and The Employment of Manual Scavengers and Construction of Dry Latrines (Prohibition) Act, 1993, made employing a manual scavenger a cognisable offence with imprisonment and fine. The 1993 Act also made it the responsibility of citizens, organisations and the state to maintain sanitary toilets. The Prohibition of Employment as Manual Scavengers and their Rehabilitation Act, 2013 made the states responsible for identifying and rehabilitating manual scavengers by providing them training, giving assistance, loans and even houses. 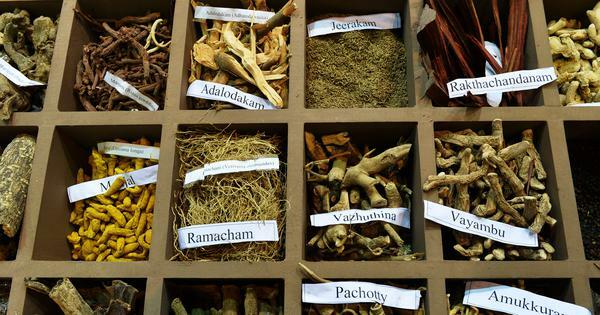 It further prohibits dry latrines and other forms of insanitary latrines. Under the Self Employment Scheme for Rehabilitation of Manual Scavengers launched in 2007, 18 states and union territories identified 118,474 manual scavengers and their dependents for rehabilitation. As many as 78,941 beneficiaries found to be eligible and willing were provided loans. After the enactment of the 2013 Act, an additional cash assistance of Rs 40,000 would be given to each scavenger identified, and the loan amount was increased up to Rs 15 lakhs for sanitation projects. It is the responsibility of the chief executive officer of the panchayat or the municipal corporation to find the manual scavengers in the locality and give them identity cards and benefits as mentioned under the law. 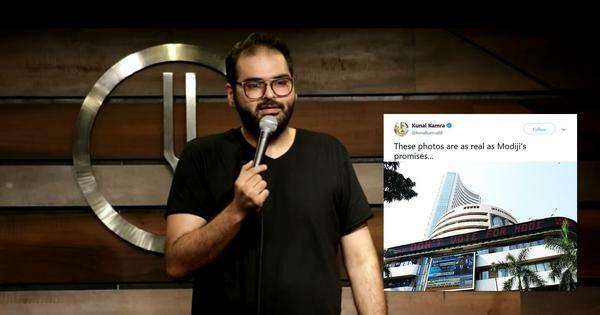 It also makes it mandatory for all claims of being a manual scavenger to be verified by the local authority in order to be included in the identified list. So far, only 13 states have been able to identify 12,742 manual scavengers. This comes to around 7% of the 2011 social economic census figure. 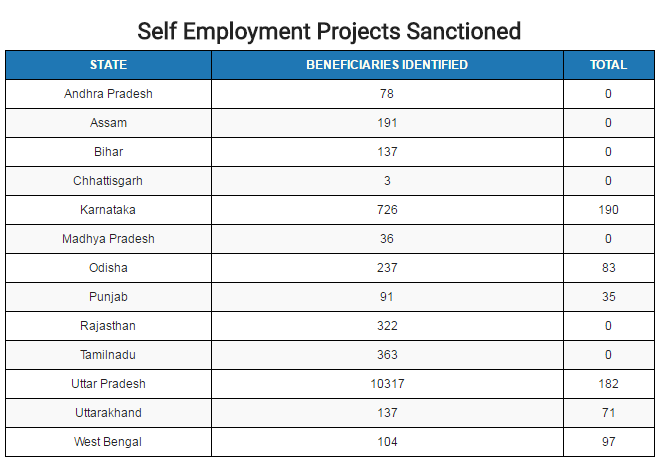 There are 22 states where not a single person has self-declared to be a manual scavenger, according to data from the ministry of social justice and empowerment. “It is left to the states to identify the numbers and many states have submitted affidavits in court saying there is not a single manual scavenger in their state,” Wilson said. 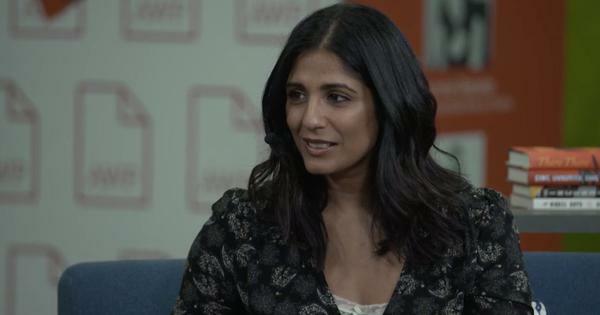 There are 160,000 dry latrine cleaners in India with 23,000 of them verified by photo, Wilson said. Manual scavenging is linked to the presence of dry latrines in the country. India has 2.6 million “insanitary” latrines, which require human excreta to be handled manually or in the pit or drain before it is decomposed, according to Census 2011. It is the responsibility of the local authority to identify dry latrines in the area and demolish and convert them into sanitary latrines, according to the 2013 Act. “The states/UTs are slow in identification of insanitary latrines and manual scavengers as there is no time-bound plan for identification of insanitary latrines and manual scavengers,” the ministry note said. It also mentioned that most states claim they do not have a single insanitary latrine due to fear of contempt of Court. Even among manual scavengers identified, training has been slow over the first two years. 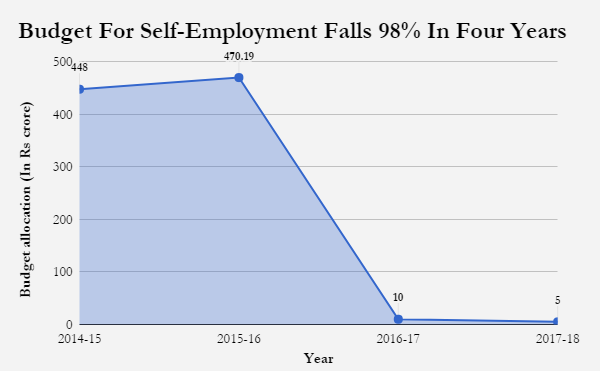 Self-employment projects – where loans up to Rs 500,000 are sanctioned at low interest rates – fare worse: only 658 projects, benefiting 5% of the identified, were sanctioned in three years with no projects sanctioned in 2017-2018. The reasons for the slow progress of rehabilitation are illiteracy of manual scavengers, their lack of confidence in running self-employment projects, and the hesitancy of banks in providing them loans due to low recovery, according to the 2015 feature from the ministry of social justice and empowerment. “Due to low confidence levels, the identified manual scavengers demand that they may be provided jobs of safai karamchari [sanitation workers] in local authorities,” the ministry said. The budget for the Self Employment Scheme for Rehabilitation of Manual Scavengers has been slashed nearly 98% because of low utilisation. 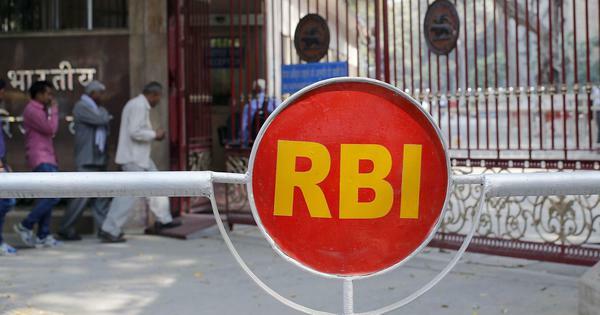 From a budget of Rs 448 crores in 2014-2015, it was increased to Rs 470 crores in 2015-2016 but has now been reduced to Rs 5 crores in 2017-2018 with only Rs 56 crores spent in four years.